How long has this been “growing” on? Home » Early Spring » How long has this been “growing” on? How long has this been “growing” on? I’m so anxious to get growing, how about you? After a long winter we’re all ready to grow something. In April a lot of garden activities center on lawn care, mulching, soil preparation and some planting of hardy plants like trees. Remember Arbor Day? Well there’s more to it than that, it’s “grow” time. You can get a jump start on the season with some tender plants by pushing the envelope with some light frost tolerant annuals and by polishing up on your container planting skills. Contain yourself, it’s “grow” time. Let me first “plant” this idea in your head. I’m a big fan of pansies and violas because they’re colorful and tough. 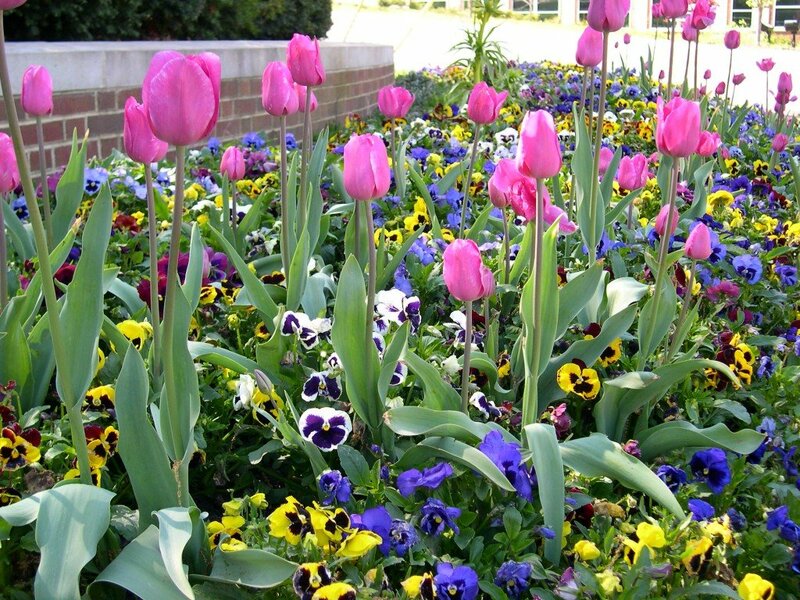 That’s right, frost tolerant and durable with the cutest little colorful faces you’ve ever seen. I suggest you plant up some pots of pansies to get your fix. If we get an unfortunate night time temperature that goes beyond a light frost into the 20’s you can always cover them or bring them in for the night. I know of some folks who have their containers on a cart or on wheels so they can roll them into the garage at night if a cold snap occurs. 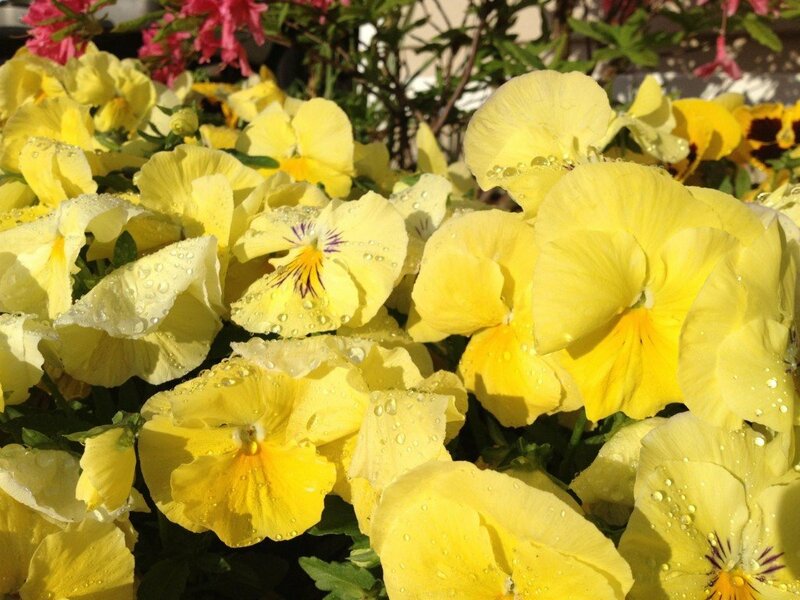 You’ll find pansies enjoy cool weather and with some sunshine will bloom their heads off. Other cool season tender plants that can help you get a jump on the season are the colorful Swiss Chard, perky Snapdragons, bold Ornamental Kale or the unassuming Sweet Alyssum. 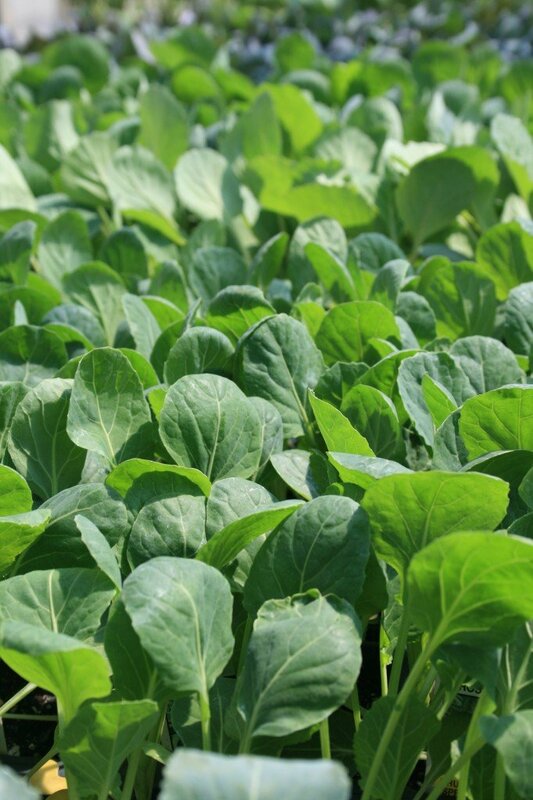 If it’s vegetables you crave the hardy and tough cole crops may be your answer. Brussels sprout, cabbage, cauliflower, collards, kale, kohlrabi, mustard, broccoli, turnips are all healthy tough guys. Of course other tender plants can be started indoors. A sunny windowsill is a great spot to start some tomatoes or pepper plants. These plants will have to be hardened off before going in the ground sometime in May. The great thing about container gardening or raised bed gardening is the soil warms quicker in spring than ground soil, maintenance is easier, and you have control over the soil your plants will be growing in. Don’t go dirt cheap on the potting mix. Your soil should be fluffy not clumpy, hold moisture without being soggy, and give plant roots the perfect mix of air, moisture, nutrition, and gravitas. It will keep your plants well grounded. Roots need air, as well as water, to grow.